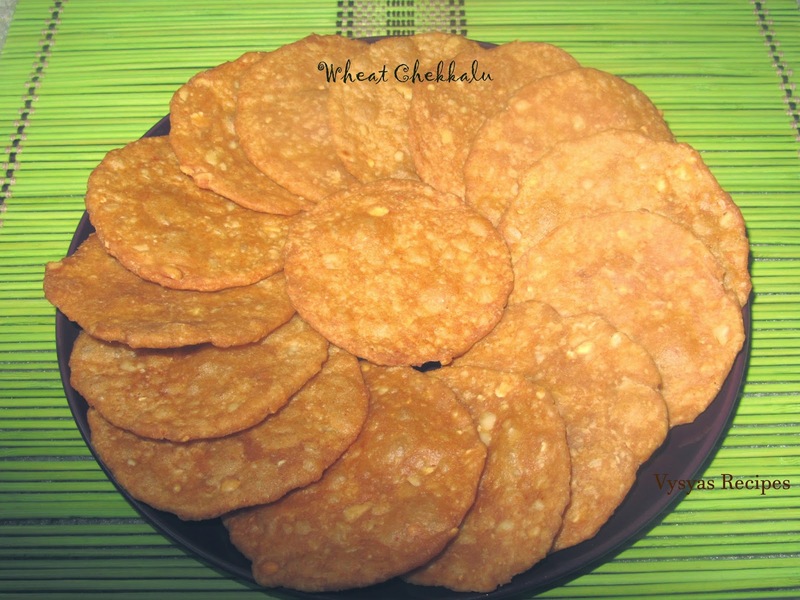 Wheat Chekkalu is made with wheat flour and some nuts. 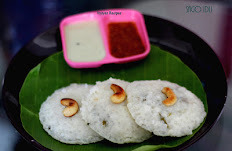 This can be made during krishna jayanthi and deepavali. 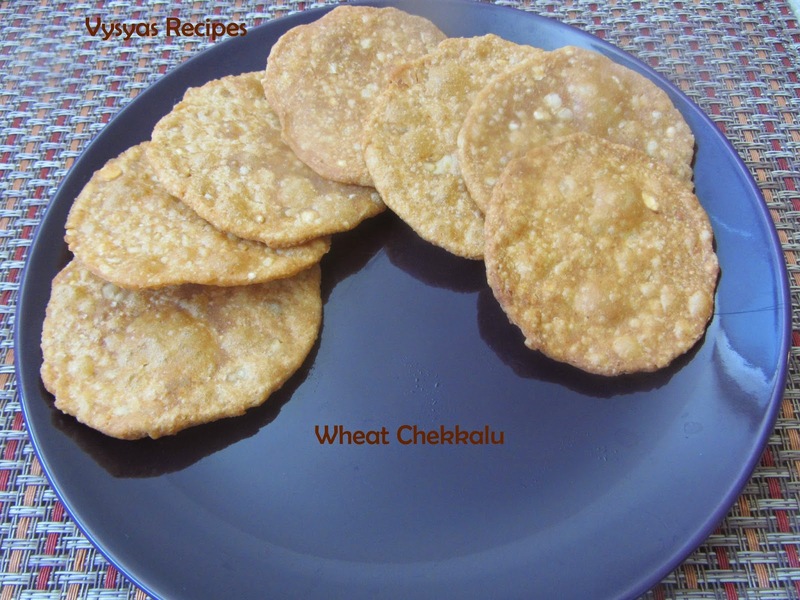 Making chekkalu with wheat flour is an authentic vysyas Recipe. 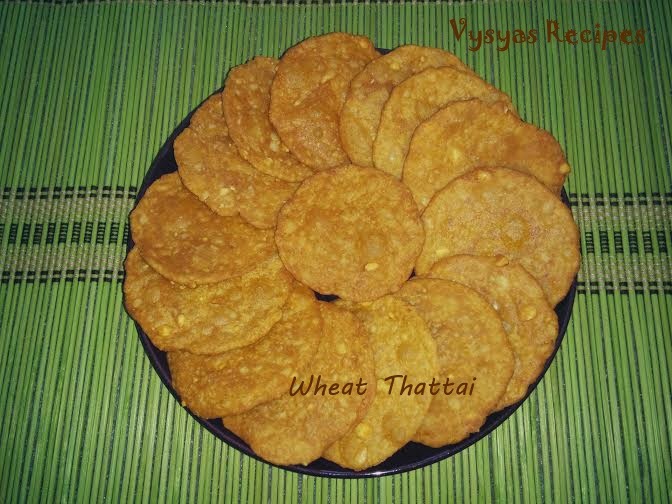 Wheat flour - 2 cup. salt - as required [ 1/2 tsp]. Peanuts and roasted chana dal(chatni dal) powder together - 1/2 cup. [Should be ground coarse]. 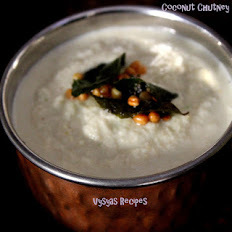 Make peanuts and roasted chana dal into a coarse powder in a blender or mixie. 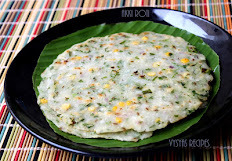 In a Mixing bowl add wheat flour, peanut and roasted chana dal powder,chilli powder, and salt, mix well, add needed water, and knead well in the form of chapathi dough consistency. Divide the dough into equal parts and make the lemon size balls. Take 2 zip lock covers, grease with little oil, then place lemon sized dough, and press it.Then again flatten it with finger tips, as thin as possible to get thinner thattai's. This is one method of preparation, or Grease a zip lock bag or plastic sheet, place a ball of dough and flatten it as thinly as possible with your finger tips. This will give you crispy thattais. Take the thick kadai, heat the oil, when it is hot deep fry the thattai's, until it turns crisp and golden brown as shown in the picture.cook it in a medium flame. Place it in a absorbent paper,till oil is absorbed. 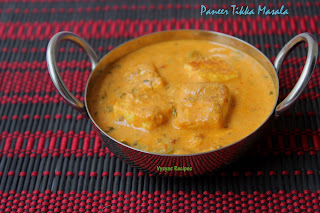 Then finally place it in a air tight container.This is a perfect snack for diwali. thanku so much for this snacks. 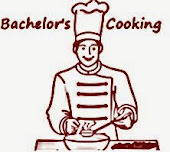 i searched everywhere i didt gotit bt found in ur blog and also i tried it came out fantasticly. thanku thanku sooo much .